The Arctic Wilderness Lodge illuminated by the Northern Lights. 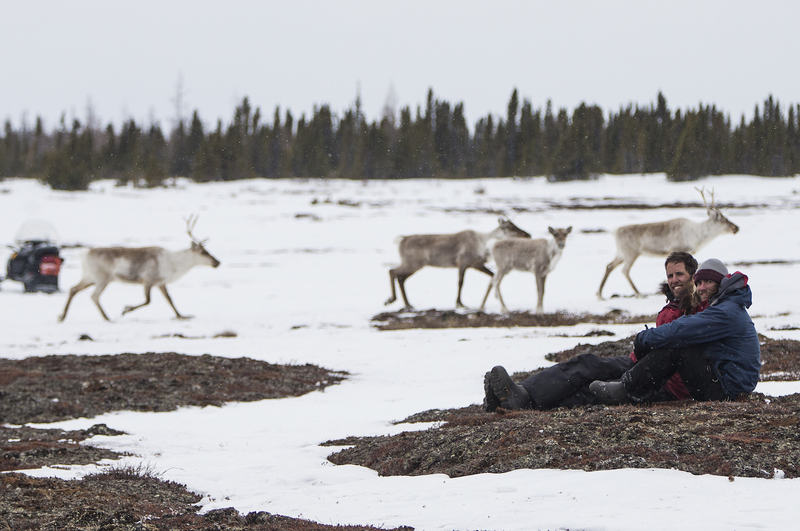 Relaxing and watching the caribou migration. Animals search for scare food on the frozen tundra. 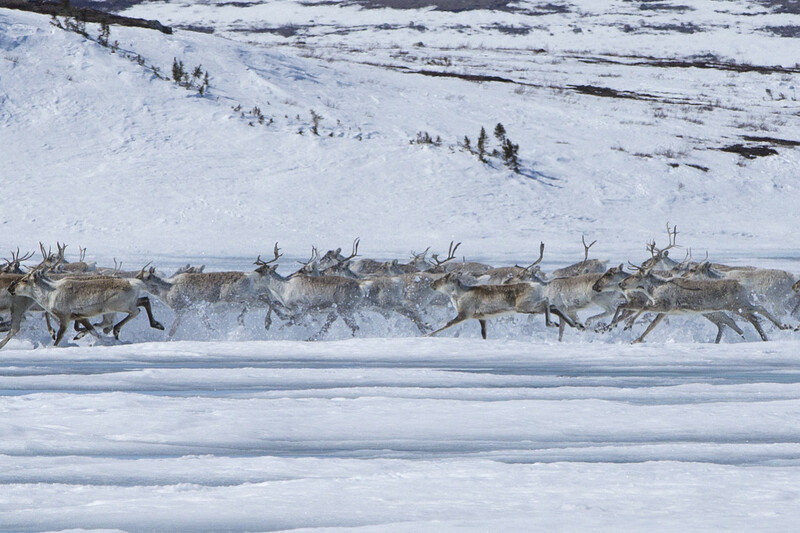 The majesty of the caribou migration. Get amidst a giant Canadian caribou herd in the frozen Nunavut territory. Your arctic migratory experience starts by touching down on a dirt runway, hewn out of the frozen expanses of Nunavut territory. 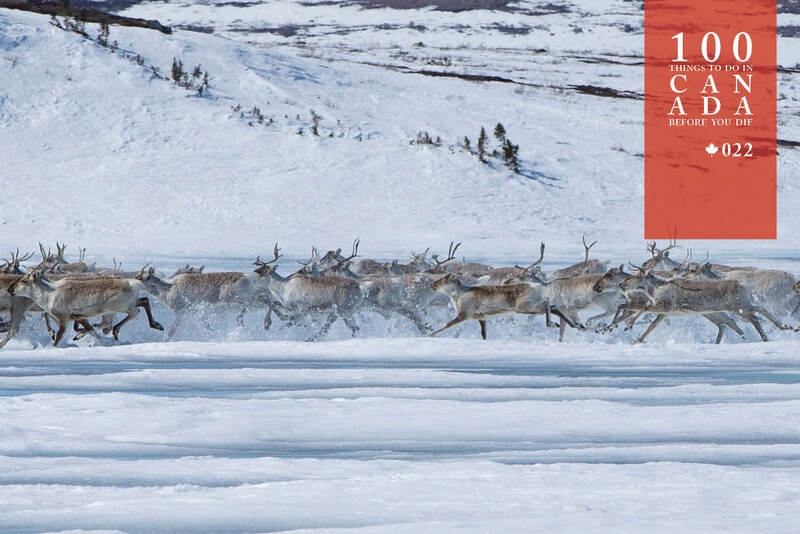 From there you’ll set yourself up at the luxurious Arctic Haven Wilderness Lodge on the Canadian Arctic Barrens, and when ready you’ll be driven, via snowmobile, to an experience that few will have witnessed outside of a documentary – the spring migration of the caribou. More than 350,000 caribou lumber north through here each year, drawn to their calving grounds in a giant herd that spreads out for hundreds of kilometres. 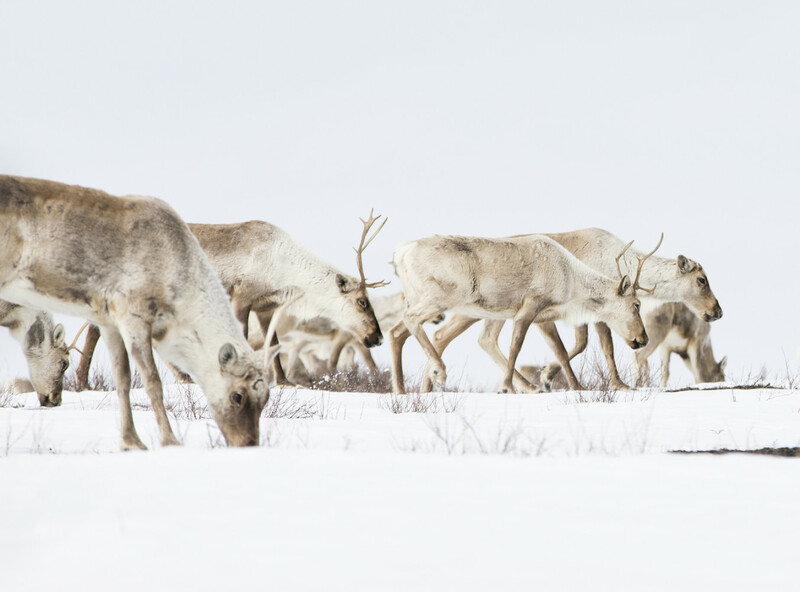 Forming a sort of dishonour guard are, of course, the caribou’s attendant predators, including wolverines, grizzly and black bears, many of which you will see in your days on the tundra. In the afternoon you will be returned to the Wilderness Lodge, where you can ice-fish, snowshoe or cross-country ski, before the on-site chef prepares gourmet fare. There is only one spring trip for the brief migration to Arctic Haven Wilderness Lodge in early May. Visit arctichaven.ca. 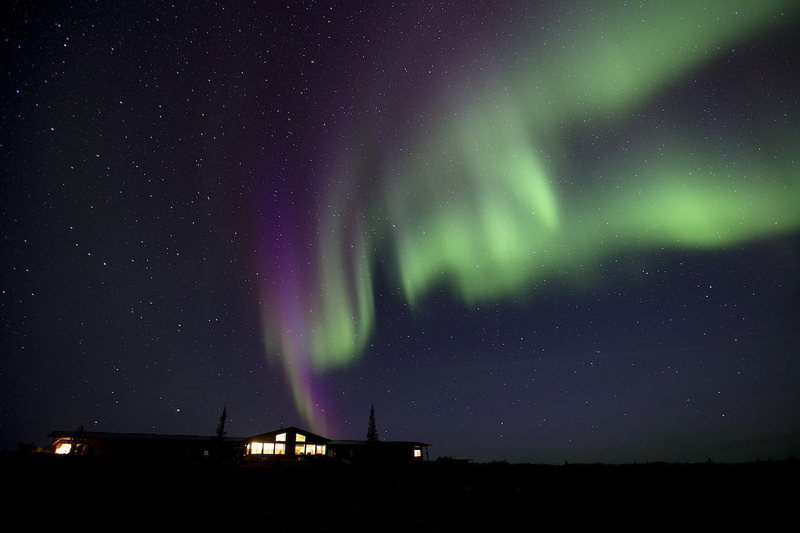 Arctic Haven Wilderness Lodge is 150 kilometres north of the Manitoba-Nunavut border. Private planes head there from Yellowknife airport.